Despite some early stumbles, Friday the 13th has now sold over 1.8 million copies, and there's a physical console release coming in October. Friday the 13th has had a bit of a rocky road since launch. There have been server issues, bugs, glitches, and more plaguing the horror title, as well as the recent uproar when developer Illfonic revealed it new zombie game. But despite all of that, the game has seen commercial success. Publisher Gun Media and Illfonic have announced that the game has now sold over 1.8 million units across all platforms, and that there is a physical release of the console version in the works. That physical edition will be available for PS4 and Xbox One in October, with the unsurprising release date of Friday, October 13. It will be priced at $40, and will include a "Bloody Jason" skin for a variants of Jason, as well as a clothing pack for all playable camp counselors. Wes Keltner, head of Gun Media, acknowledged the game's early issues, but also expressed that the team plans to continue work on the game. "While things haven't been completely smooth we definitely feel confident moving forward. The team has grown and we are committed as we work to add more content, more kills, more to do and of course the single player component to the game," he said. 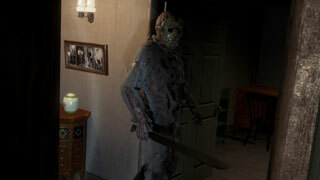 We've already seen some big patches and the addition of NES Jason as free DLC, and it sounds like there will be more content to look forward to, if the company's plans pan out. Don't forget that if you're willing to put in the work, you too can kill Jason outright - here's how.